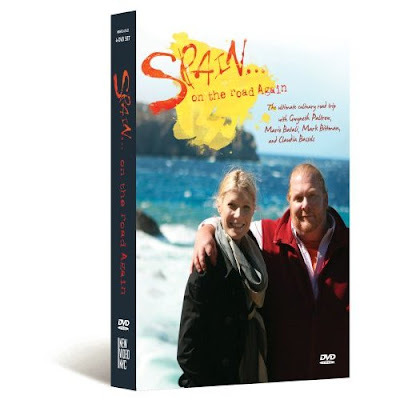 I have enjoyed watching the Spain…On the Road Again series so much. Can you imagine taking such an incredible road trip? They have been to the most beautiful places in Spain and have enjoyed the most incredible food. Live vicariously through Gwyneth, Mario, Claudia, and Mark and order the DVD set for the series. It drops today. Paloma – Check out the cookbook! It’s insane. And it’s like a textbook really…I think you’d love it. Williams-Sonoma (and of course book stores) has it right now. I actually have the cookbook. 🙂 It really is awesome! Great blog – love the warmth and life here.